Description - The shot heard round the world! This is a beautifull picture of Bobby Thomson's Pennant winning homerun. 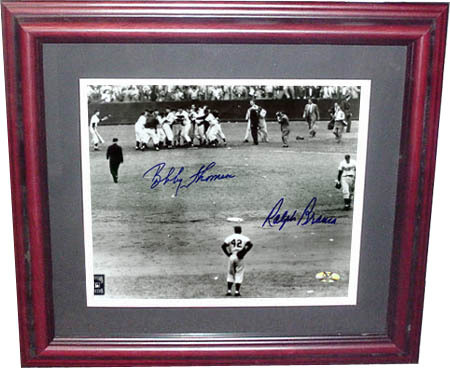 It is signed by Bobby Thomson and the pitcher Ralph Branca. This comes with a PSA/DNA certificate of authenticity.